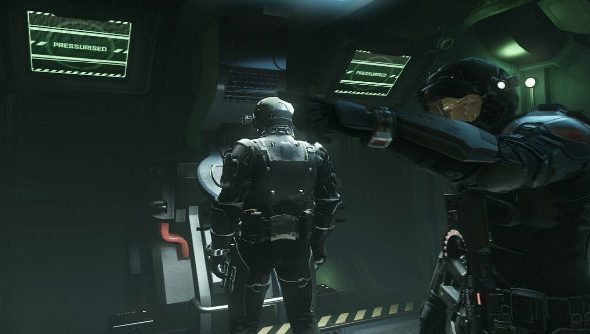 Star Citizen has had a very public journey since its announcement on October 2012. This visibility has seen the game come under a lot of scrutiny during its development. I can only imagine the sort of pressure the studio heads are feeling to deliver on their promises. Despite criticism from some circles, the pace of funding for Star Citizen has recently accelerated. From humble beginnings, with only seven staff at Cloud Imperium Games, the company and the game itself has steadily increased in mass in tandem with the amount of money invested by backers, opening up new office spaces dedicated to different components of Star Citizen. CIG now employs 260 staff and boasts almost a million Star Citizens. If the numbers aren’t enough for you, to reinforce the fact that work on Star Citizen is progressing well, a section at the start of CitizenCon’s presentation was dedicated to highlighting this progress. Doesn’t it give you a lovely warm feeling to see a company do so well over such a short time period? This growth should hopefully transfer to the game, too, powering even more progress in a shorter time. This year’s CitizenCon felt like CIG were out to prove something, and a whole host of announcements came, including more details about Squadron 42 and the plans for aplha version 2.0. Alpha 2.0 aims to bring some of the disparate parts together into a cohesive whole for the first time, allowing players to properly experience a section of this massive sandbox for themselves. And when I say massive, the playing area will be1,000,000,000,000 km squared. Don’t even ask what the actual volume is because I don’t know how to write numbers that high. The new alpha phase will allow for space flight, EVA (zero gravity exploration), FPS and Social. All these parts of the game will be playable across 38 missions, as well as in random encounters with AI and possibly other players. What are your thoughts on this early look? Hopefully it’s not too long before we can try it for ourselves.